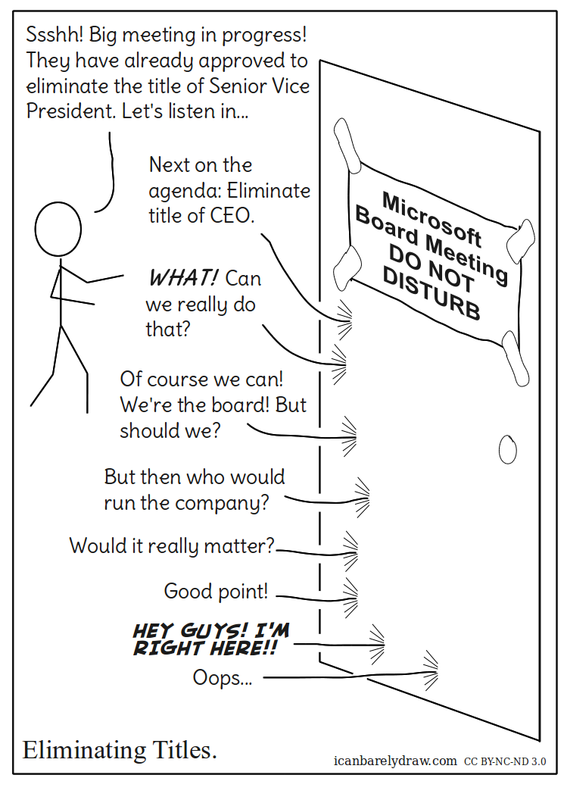 Voice from behind door: Next on the agenda: Eliminate title of CEO. Voice from behind door: WHAT! Can we really do that? Voice from behind door: Of course we can! We're the board! But should we? Voice from behind door: But then who would run the company? Voice from behind door: Would it really matter? Voice from behind door: Good point! Voice from behind door: HEY GUYS! I'M RIGHT HERE! !